Without doubt one of the most popular hairbrushes, you will definitely have seen these if you’ve ever been in a professional salon. As the name suggests, the brush section is round and looks like an oversized hair roller. These are great for curling and are very often used alongside blow-drying as the heat works with the nylon bristles to hold the hair. That makes it simple to curl strands around the brush and hold big areas with ease, leaving a smooth and sleek finish. By definition all brushes work in some way to tidy up your hair and separate tangles, but a specialist detangling brush just does it better than others. These brushes have been especially designed to work out knots and matted sections of hair and can be a real godsend. There are many detangling brush benefits, none more so than the fact that a good one really can save you a lot of time and hassle, not to mention pain! This brush is usually oval in shape and has a cushion that sits very close to the bristles. With this design it’s great at smoothing out fine hair and is also known as a finishing brush. This is partly due to its ability to complete blow-out looks along with styles created by tongs and straighteners. It’s also good for everyday use and massages the scalp well. The teeth are deliberately spaced apart on wide toothed combs to enable the gentle elimination of knots and tangles. In that way they can be seen as being similar to the detangling brush and are great if you’ve got thick or curly hair. Another hairbrush you probably already know about and most likely own is the paddle brush. Again, this is one that you’ll have seen in pro salons with its distinct wide and flat look. A versatile tool that comes in many different sizes, it’s great at straightening out the roots and teasing out knots. Also known as a teasing brush or a pintail comb, this is the go too tool when you’re looking for precise detailing. Visually, they are made up of close together teeth or tight bristles and have a long thin handle. They are ideal for sectioning hair, working right into the hairline and for creating lift in slick backcombing dos. It’s all about picking the right brush for the right job and the best thing you can do is have multiple choices. 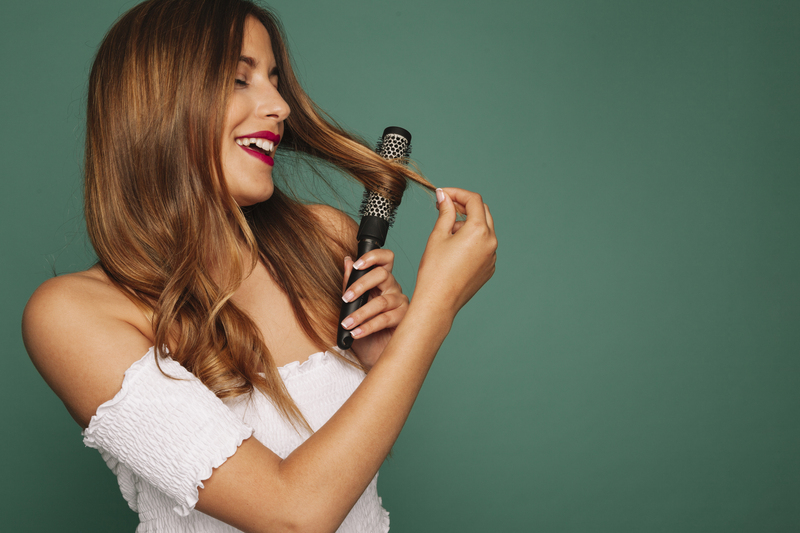 From a paddle brush to a detangling brush, and a wide or narrow toothed comb, you know now which tools might work best for your hair care and styling needs.